The NASA Advisory Council (NAC) – a body that provides the NASA Administrator with counsel and advice on programs and issues of importance to the Agency – has insisted a human exploration plan, or at least a destination, should be selected as soon as possible. The call comes just weeks ahead of the greatly anticipated “180 Day Exploration Destination Report”. 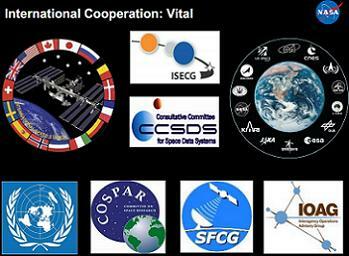 The Council – consisting of nine committees, Aeronautics, Audit, Finance and Analysis, Commercial Space, Education and Public Outreach, Exploration, Information Technology Infrastructure, Science, Space Operations, and Technology and Innovation – was meeting as a combined body known as the Human Exploration & Operations Committee (HEOC). The NAC Space Operations Committee and NAC Exploration Committee combined into the NAC HEOC ahead of its first meeting late in 2011. The HEOC met again earlier this month, resulting in an expansive overview of NASA’s current exploration status. 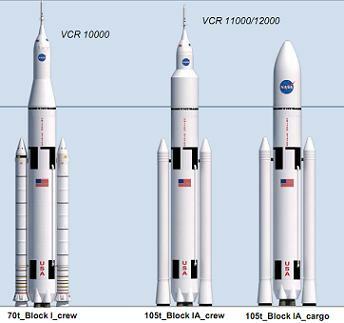 In overviewing current status, the committee portrayed the key Space Launch System (SLS) and Orion programs as on track within the timeline, confirming SLS has a September 30, 2013 schedule to complete requirements and definition reviews. Teams have already kicked off the System Requirements Review (SRR) and System Definition Review (SDR) process, a foundation of content that will be used by the Preliminary Design Review (PDR), scheduled for June 28, 2013. “By September 30, 2013, NASA will finalize cross-program requirements and system definition so that the first test flight of the Space Launch System (SLS) and Orion Multi-Purpose Crew Vehicle (MPCV) programs are successfully achieved at the end of 2017 in an efficient and cost effective way,” noted the HEOC. They added this “develops the heavy-lift vehicle ($1.88B in FY 13, including construction and exploration ground systems) that will be capable of launching the crew vehicle, other modules, and cargo for missions beyond low Earth orbit. 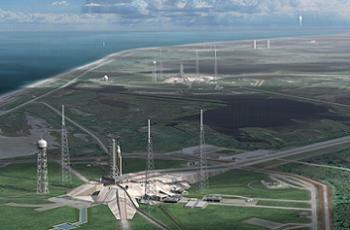 Corresponding modifications to the Kennedy Space Center launch range will be addressed by EGS program ($0.4B in FY 2013, including construction). The HEOC also appeared to show no red flags per Orion’s current development schedule, citing the milestones recently achieved ahead of the key milestone of the Exploration Flight Test (EFT-1). “EFT-1 Flight Test Undefinitized Contractual Action (UCA) issued Dec. 21, 2011. Initiated final CM (Crew Module) barrel machining, completed cone and gore panel welding, delivered and assembled backbone,” noted the HEOC overview. The group also emphasized the importance of the test schedule, which includes the first two missions Beyond Earth Orbit (BEO) missions for SLS and Orion. “Flights are needed to test critical mission events and demonstrate performance in relevant environments. Abort, jettison, separation, chute deploy, Re-entry and TPS (Thermal Protection System) performance in BEO conditions, Integrated vehicle systems performance, and environments validation,” the HEOC noted. 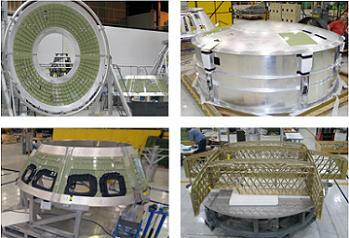 “Data collected from flights will be used to eliminate additional SLS test flights as the SLS configuration evolves. Dedicated flight tests will not be required for incorporation of competitive boosters, RS-25E (SSMEs), or the upper stage (with J-2X). 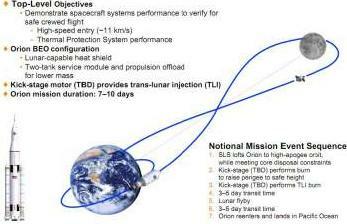 “Four missions/test flights planned to meet minimum mission/flight test. Exploration Flight Test-1 (EFT-1), an orbital, uncrewed test flight in 2014 provides MPVC system level tests and risk reduction opportunity. Ascent Abort-2 (AA-2), an abort test in high dynamic pressure environment. While the vehicle hardware development is now moving forward at full speed, specific destinations – or a roadmap – is still lacking from NASA’s exploration plan. This issue was not lost on NAC’s HEOC members, who recommended at least a “destination” to be refined and published as soon as possible – even when based on the “worst case” manifest scenario of completing the test flights by 2021. “Major Reasons for the Recommendation: With the approval of an SLS Booster, the Orion Spacecraft, and 21st Century Launch Complex planning can now begin on the destination mission. With initial crewed flight in 2021, the first operational flight could occur as early as 2022,” noted the Committee. “Given the budget reality and development time for new hardware and software, (which is estimated to be at least 10 years) now is the time to pick a specific destination in order to focus the NASA, international agencies and contractor teams on a specific destination, such as Mars. In addition, the near and interim steps in order to achieve the ultimate objective should also be defined. While NASA admin stator Charlie Bolden recently told lawmakers that they have a defined destination of Mars by the mid 2030s – along with likely mission content relating to Near Earth Asteroids (NEAs) and the recently acknowledged possibility of landing on the Moon – a key roadmap milestone should be forthcoming in April. 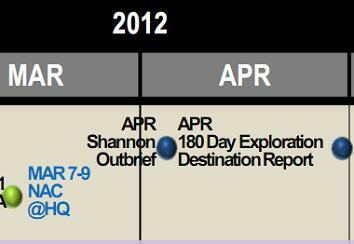 According to documentation, former Space Shuttle Program (SSP) manager John Shannon and his group will be in a position to brief the Agency on their “180 Day Exploration Destination Report” next month. Given the amount of time the group have been working on the report, it is hoped the overview will be expansive and defined, allowing the Agency to publish a comprehensive exploration plan. Interestingly, one of the HEOC’s concerns related to consequences of no action on the aforementioned recommendation is that it would be difficult for the International Partners to determine where they can contribute to the human exploration program. They also claimed that without a specific Program definition, it will become increasingly difficult to get the American public excited about the future of NASA. 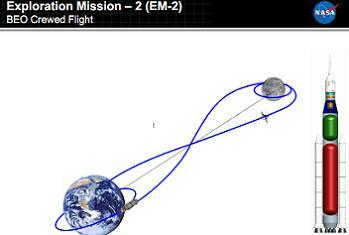 In a second recommendation, the HEOC questioned the need for EM-2’s crewed test flight, requesting NASA specify the mission objectives of the second SLS/Orion mission, “that justify the need” for a crewed lunar orbit mission. “Major Reasons for the Recommendation: The current mission objective for EM-2 is listed as, “Demonstrate crewed flight beyond LEO.” Crewed flight beyond LEO was demonstrated more than 40 years ago in the Apollo program,” the HEOC group added. “NASA needs to show how EM-2 fits within the architecture for future human exploration beyond LEO and ensure that the objectives for a crewed lunar mission are consistent with the cost and risks involved. The Committee also recommended further evaluation of potential international collaboration in NASA’s deep space aspirations, claiming this has been historically effective for the Agency. This recommendation may be a strong hint at the proposed L2 Exploration Platform/Gateway, which has been outlined as an international project. “Recommendation: Identify an existing ISS international partner or partners to accelerate expansion of international participation in future deep-space exploration planning. This expanded partnership will bring international resources to exploration and enhance sustainability. For any mission that is selected, we need additional hardware beyond the SLS and MPCV such as a lander, habitat, advanced propulsion systems, etc. Citing the consequences of taking no action on this recommendation, the HEOC claim limited US resources will delay exploration of the solar system. Additionally, they claimed the strength of international treaties will benefit sustainability of exploration programs.